The soul of Kerala resides in the rustic terrains of villages that evoke fresh experiences on every visit. Village life of God's Own Country is a symphony composed on strings of beauty painted with myriad traditions and cultures. 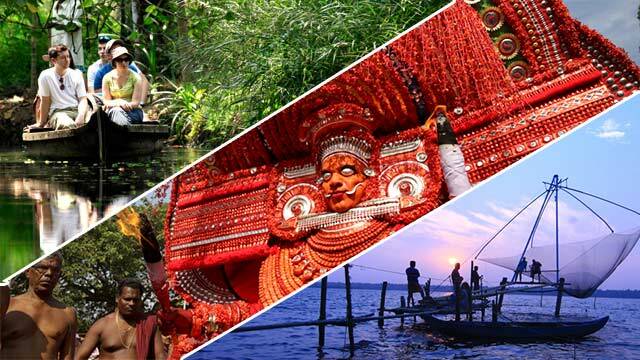 Untouched and untrodden by the dark hands of industrialisation and nauseating makeover of urban sophistication, the rural life of Kerala offers travellers a pristine, peaceful, indigenous experience. The concept of Village Life Experience in the tourism sector was first introduced by the Responsible Tourism Mission. It was brought forward with the aim of protecting the native crafts, traditional jobs and the village life of Kerala. The main highlight of this idea is that it ensures public participation for tourism development thereby supporting farmers, small-scale entrepreneurs, traditional artisans and so forth. Currently, RT Village Life Experience is an ideal model that has received praise and appreciation from all over the world. The Mission offers half day and full Village Life Experience packages. Far away from the hustle bustle of city life, the rural land decked with tranquil backwaters, green carpeted paddy fields, swaying coconut palms, small fishing hamlets and unique artforms is an experience to cherish forever. These villages usher us into a world where contentment and peace prevail. As part of the Village Tourism Experiences, Responsible Tourism introduced many innovative tour packages. RT decided to introduce tour packages incorporating weaving centres of Kalliasseri in Kannur, bell metal making of Kunhimangalam, Various Theyyams, visits to agricultural areas and traditional fishing techniques. New Cultural Tour Packages, Festival Packages, Experiential Packages that give more importance to tent accommodations, Heritage Tour Packages, Carbon Free Packages, Fishing Packages, Farming & Craft Village Packages and Story Telling Packages will be introduced soon. Who doesn’t fancy a romantic day out in a houseboat through the tranquil emerald backwaters of Kerala? RT offers you a chance to experience the serenity of the backwaters of Kerala. Don’t miss it! Come over to Kerala and go on a laidback cruise to rejuvenate your soul. Boat rides never fail to instill peace in one’s heart. For the adventurous, Kerala offers funfilled ones too as the RT Mission offers boating facilities as part of the Village Life Experience packages. A pleasant cruise through the backwaters and beaches of Kerala is fun at the same time soothing. RT Mission offers you chances to experience this amusing cruise. The green carpeted paddy fields of Kerala ringed by serene backwaters never fail to captivate visitors. A walk through the lush greenery fills your mind and soul with its freshness. Village Life Experience packages of Responsible Tourism offers you chances to take a walk through the paddy fields of Kerala to surrender yourselves to its enthralling beauty.